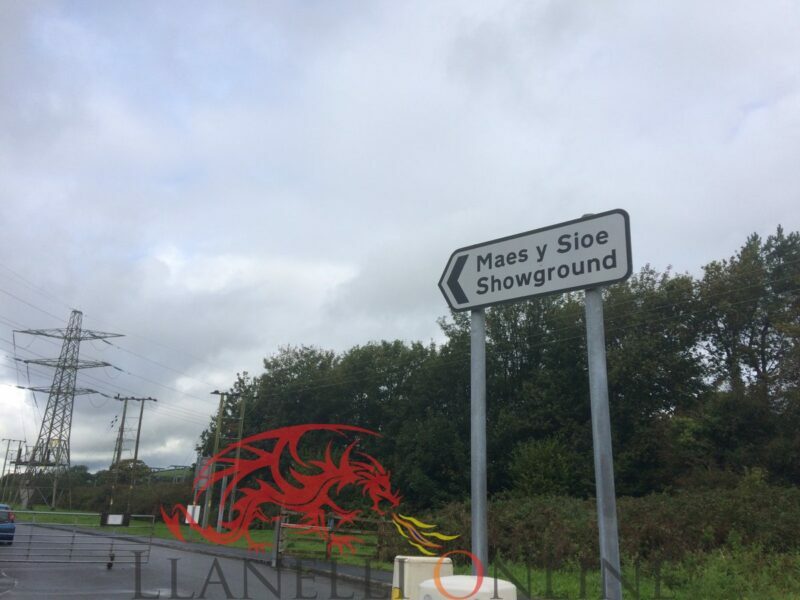 Following the successful Welsh Road Relay Championships at Pembrey Country Park last weekend, attention next turned five days later down the A484 to Carmarthen and the United Counties Showground in Nantyci. 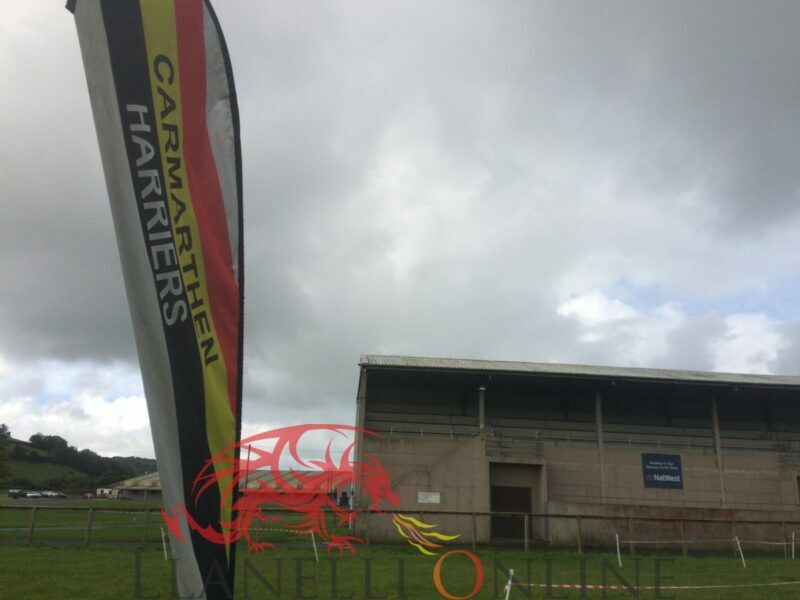 This was the second big hosting event of a busy week for members and runners of Carmarthen Harriers in a short period of time. 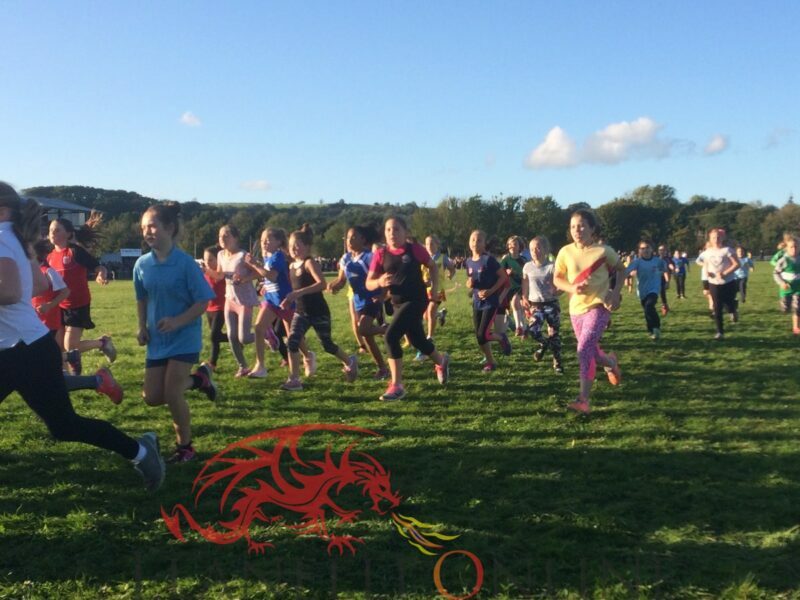 The cross country season in West Wales got off to a flying start with another fantastic turn out for the 2017 Carmarthenshire Primary Schools Cross Country Championships held on Thursday Evening (21 September). 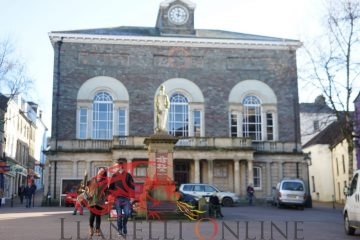 The competition was again organised by the Chairman of Carmarthen Harriers and the meeting announcer, Hedydd Davies who has continued to do for the last 30 years since it was introduced. 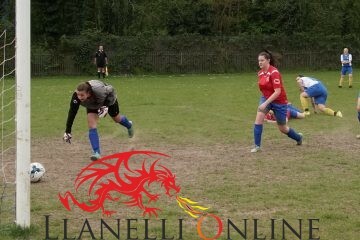 The Carmarthenshire Cross Country Championships was once again sponsored by McDonalds. 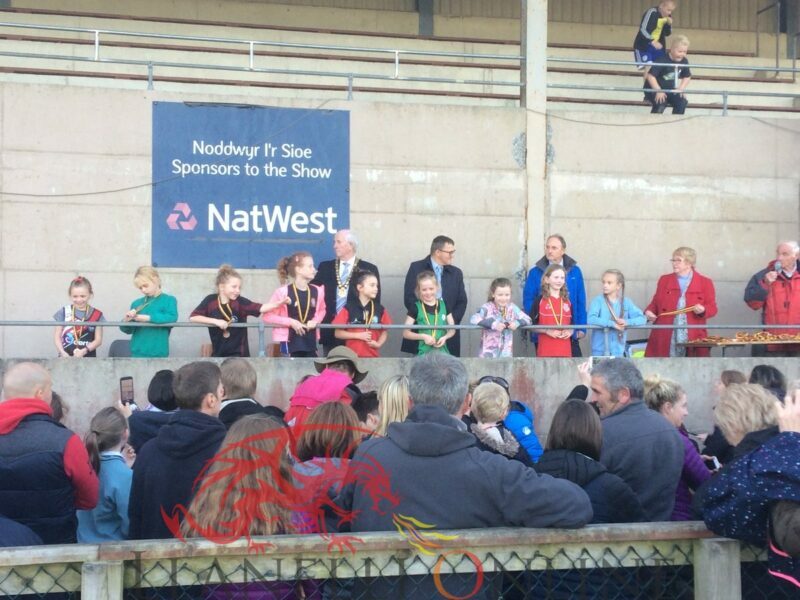 The partnership between Carmarthen Harriers, Carmarthenshire and Dyfed schools continues to grow and has already resulted in Carmarthen Harriers being awarded with the Welsh Athletics Partnership Award a number of times over the past few years, including in 2016 for its partnership with McDonalds. With continuous heavy rain throughout the day on Wednesday and Thursday morning, the event could have been in doubt at one stage however, with the conditions clearing from the South West during early afternoon, this enabled the championships to go ahead as planned. 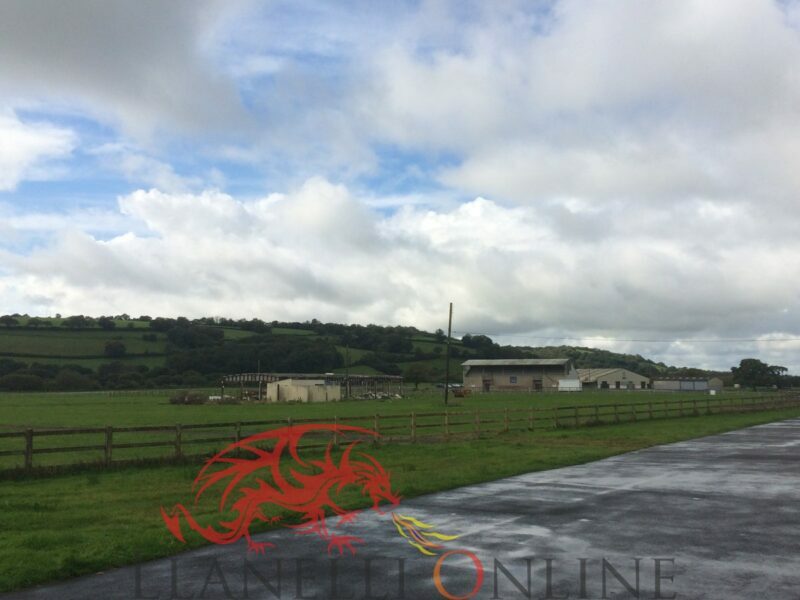 Due to the bad weather, organisers had to shorten a part of the course due to its original section being flooded after the overnight conditions. 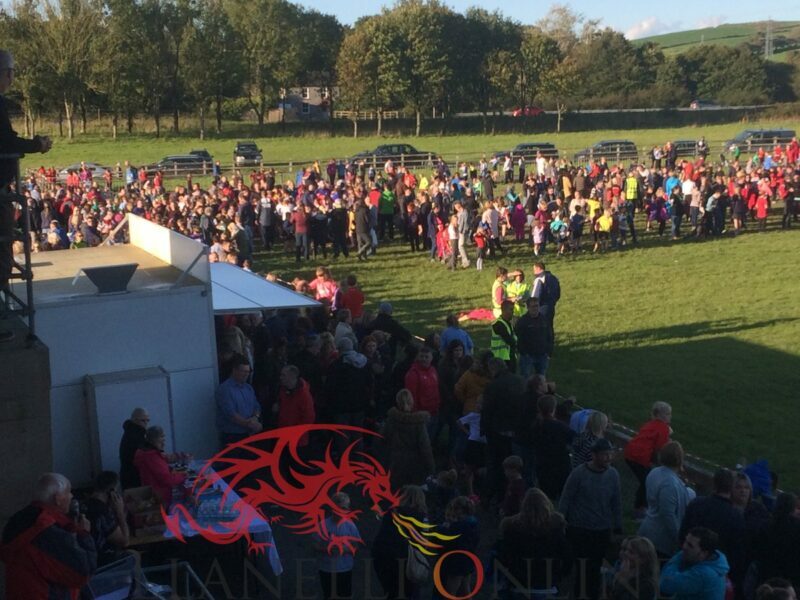 Just in time for the start of the races, despite the ground still being rather wet, the sun and the warmth had made a welcome appearance and stayed throughout the championship duration, attracting hundreds of people – athletes and spectators to its annual venue in Nantyci on the outskirts of the town. 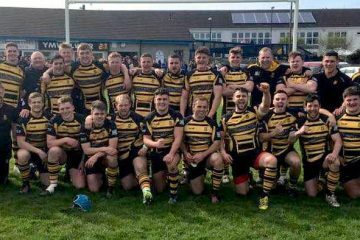 Once again, Carmarthenshire schools supported and competed in their numbers in what is now one of the biggest and most attended sporting events in the county. 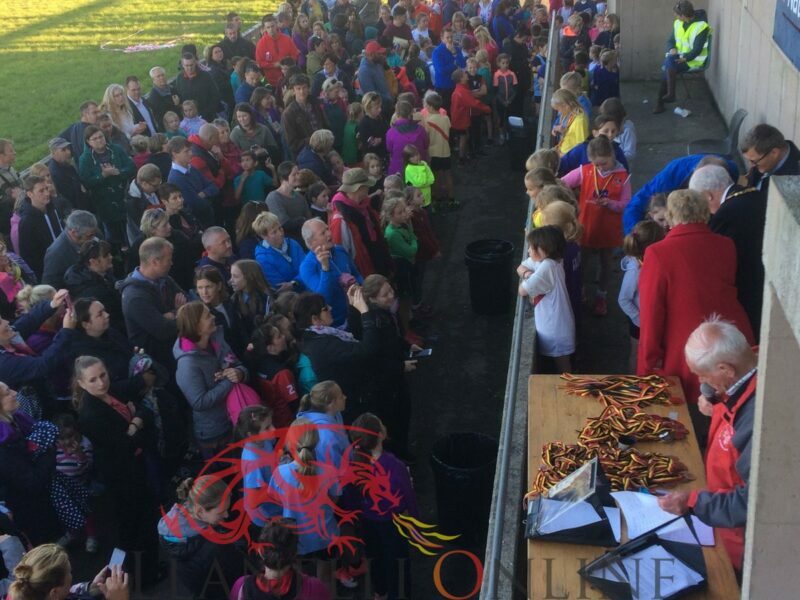 More than 30 schools were represented in the two-hour programme and between the eight races, a large number of around 1,100 children took part. 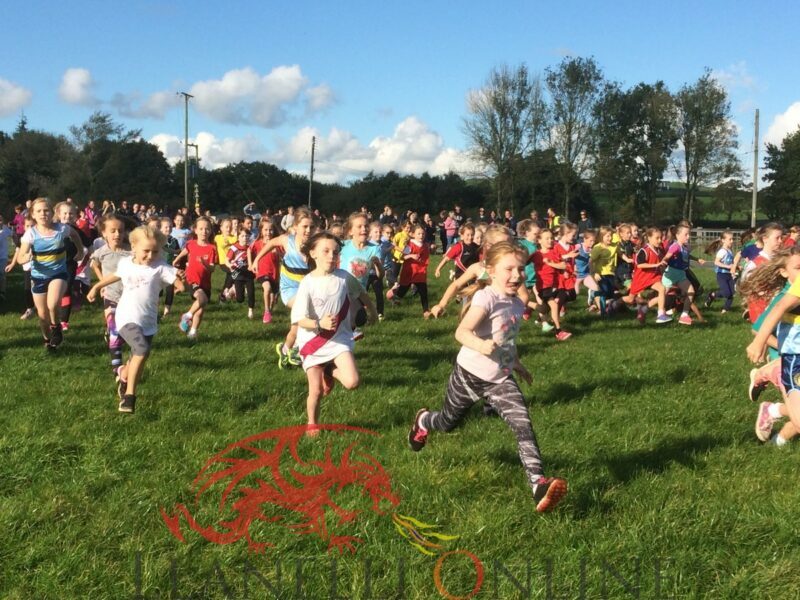 While some were competitive, for many others it was also an opportunity for young runners from across Carmarthenshire to get involved alongside their friends in a family event, gaining experience at the same time. Year 3 athletes in particular, got their first taste of a proper competition and able to watch the upcoming future athletics stars in action. The course was split into two – year 3 and 4 ran 2 big laps while the year 5 and 6 children completed 1 small and 2 big laps, with the route ideal for families and friends to spectate and support, as it was all on the big field in front of the stand. 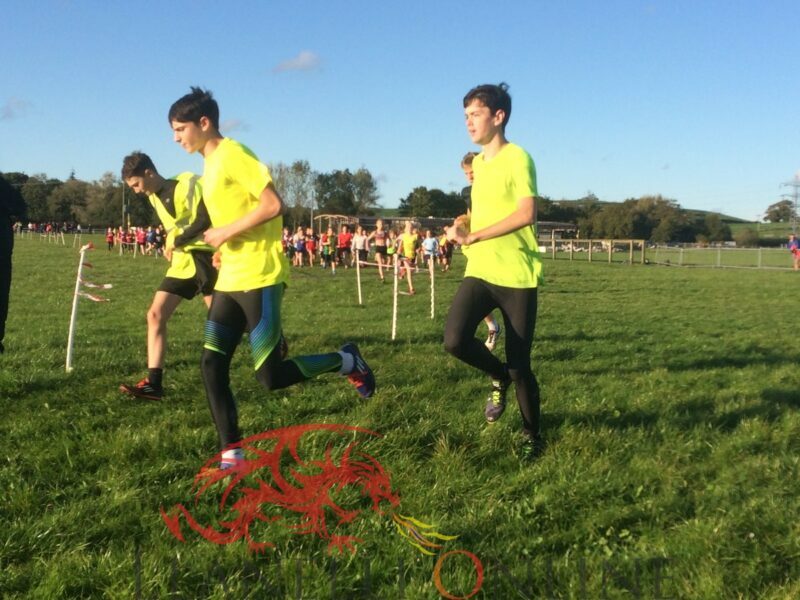 Runners were in good company, led at the front and back by Harriers middle distance athletes: Archi Morgan (U17), Frank Morgan (U13), Dafydd Jones (U15), Jack Thomas (U13), Iwan Glynn (U15), Tomos Rees (U17) and Ben Thomas (U17). Each one did an excellent job encouraging and supporting those behind the winners to succeed by crossing the finish line. The first of the races started with the young years 3 at 4.30pm, with the other seven races taking place at 15 minute intervals. The presentation of the 110 medals was made shortly after at 6.00pm. 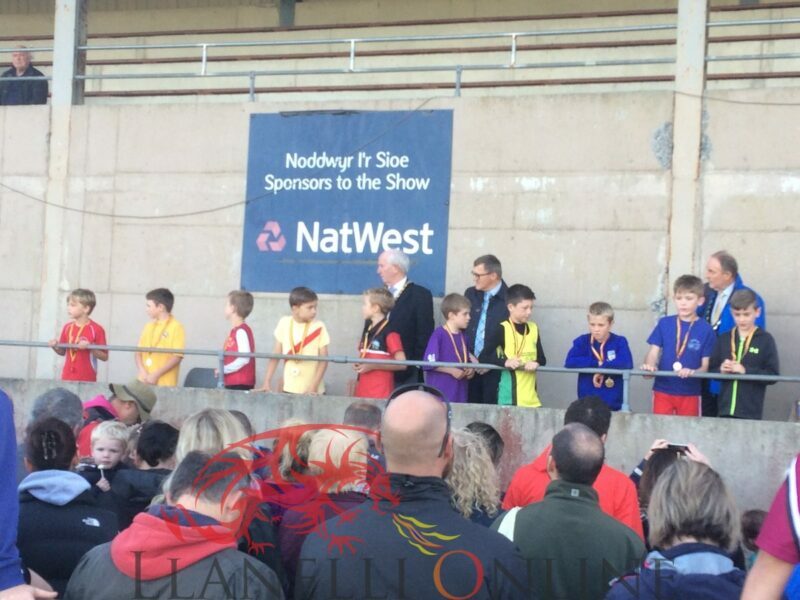 Medals were presented to the first 10 individuals and the first three teams by the following guests who attended as special guests: Irfon Jones (Chairman of Carmarthen County Council), Gareth Morgans (Acting Director of Education Carmarthen) and Emlyn Schiavone (Deputy Head Mayor). 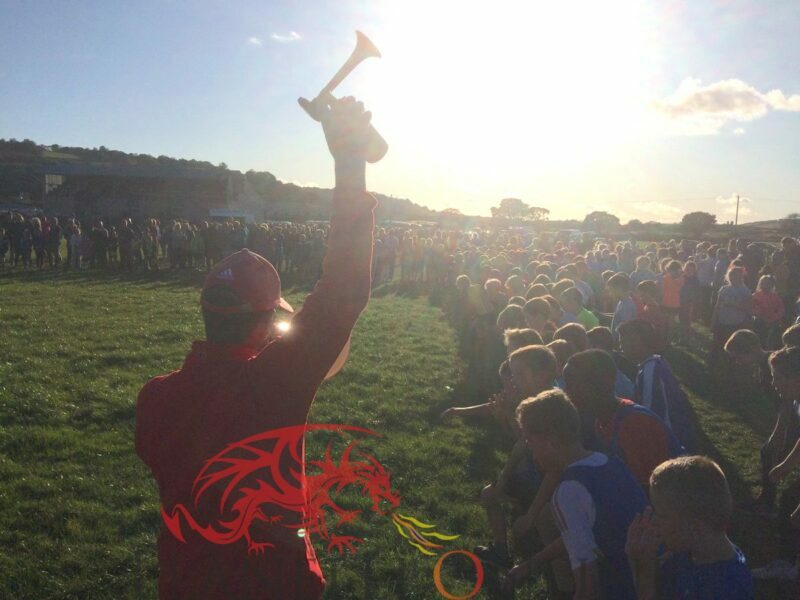 In what was an exciting evening of cross country running, the overall school trophy was shared this year by Ysgol Griffith Jones, St Clears and Ysgol Y Dderwen, Carmarthen as they both won three team events each. 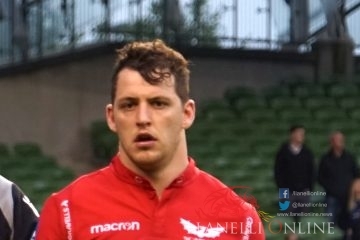 An event of this magnitude takes a great deal of organisation and preparation. 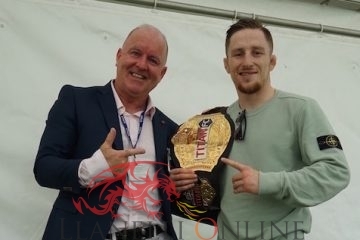 Grateful thanks to all for supporting the event and making the championships a successful one. 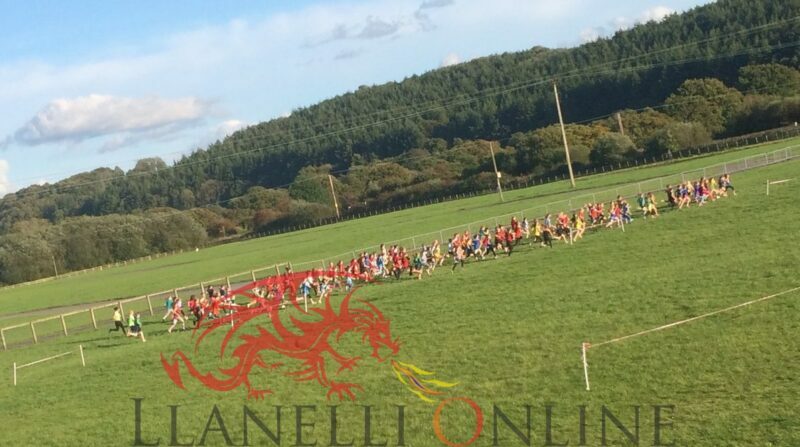 Next up will be the Dyfed Primary Schools Cross Country Championships where all three counties will be invited to take part (Carmarthenshire, Ceredigion and Pembrokeshire). This is likely to be held during March 2018.